Open Destinations is delighted to announce that we have added another award to our collection. 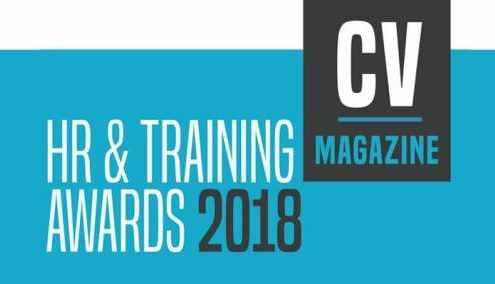 Corporate Vision’s ‘Travel Outsourcing Team of the Year 2018‘ prize was announced in November of last year. Open Destinations’ launched its Business Process Outsourcing service in 2004 and has had an extremely successful fifteen years in the market working with clients including Destinology, Dnata, Travel 2, Carrier, Best at Travel, JacTravel, Stella Travel Services and Travel Counsellors. The specialist service provides travel providers with their own dedicated teams for activities such as hotel contract loading, PNR checking and complex finance processes. 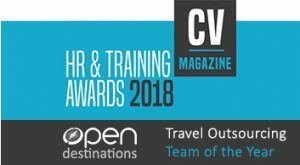 The award from Corporate Vision recognises multiple client success stories due to the consistent high level performance of Open Destinations Travel Outsourcing service. Working with an extremely impressive 99.8% accuracy, Open Destintions’ BPO staff deliver a demonstrable average of 30% productivity improvements and 50% in cost savings. Unlike other companies offering back-office operational support, Open Destinations specialise in the travel sector and train BPO teams to work with any reservation system, including Open Destinations’ own systems Travel Studio and Travel Builder. Interested readers can find out more about Open Destinations Travel Outsourcing service and make an enquiry here. Additionally you can talk Travel Outsourcing face to face with the Open Destinations team at the upcoming Travel Technology Europe and ITB Berlin events. Corporate Vision annually shines a light on the very best companies, individuals and teams across the spectrum of fields involved in human resource management and training. At the heart of every successful business, lies a dedicated and committed staff ensuring vacancies are filled with the best candidates, whilst maintaining a happy, motivated, healthy workforce, trained to perform their duties to the best of their capabilities. Frequently outsourced and working behind the scenes as you do, the heroes of human capital rarely get the recognition you deserve, despite the significance of your work to the wider business or enterprise. Therefore, it is our honour to identify and pay homage to you tireless professionals and the valuable work you undertake.